Introducing the 100 ml (3.4 oz) LÃ¡grima bottle, currently available on our website. Itâ€™s the perfect Valentineâ€™s Day gift for that special, dessert-loving person in your life. Share the joy, share the love. Hop on over to our recipe page and try one of the delicious creations we have highlighted. 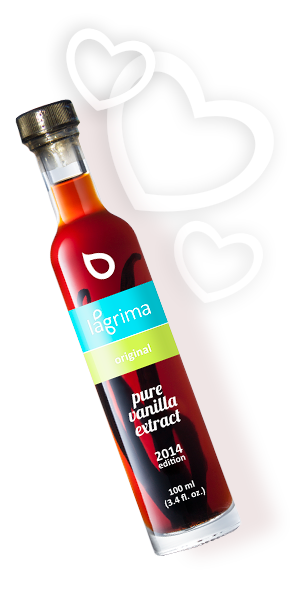 Donâ€™t forget to snap up one of the new 100 ml bottles of LÃ¡grima (your mom will love you for it). Coming soon: We will unveil the details of our LÃ¡grima First Taste Club. Copyright Â© 2014 Lágrima, LLC, All rights reserved.